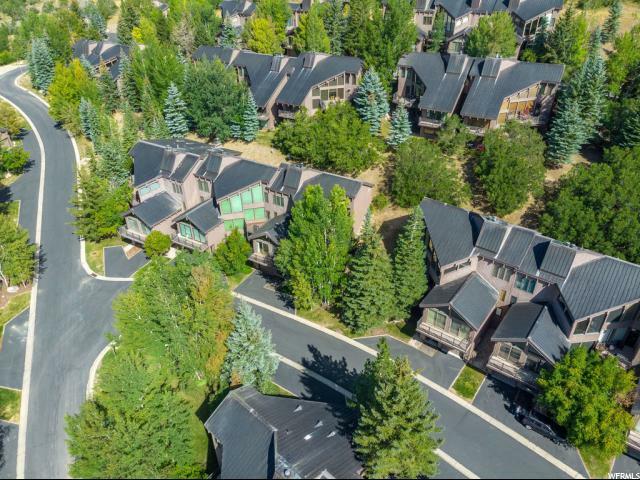 All PINNACLE homes currently listed for sale in Park City as of 04/19/2019 are shown below. You can change the search criteria at any time by pressing the 'Change Search' button below. "Located in Lower Deer Valley, this Pinnacle townhome is just minutes from Deer Valley Resort, historic Main Street and Park City Resort. This light-filled home offers plenty of room for friends and family, with multiple indoor and outdoor gathering spaces. The large living room features a vaulted tongue and groove ceiling, lots of natural light, a floor-to-ceiling stone fireplace, and a large balcony with beautiful views. The inviting kitchen and dining room flow to an outdoor patio for easy al fresco dining and entertaining. Relax in the hot tub after a long day on the slopes or enjoy the outdoors from one of three decks. The large master suite features vaulted ceilings, a fireplace, and a luxurious bathroom with a jetted tub. The four additional bedrooms are equally spacious and located on different levels for added privacy. This home is perfect for a family, but also has great potential as a nightly rental. Schedule a private tour today."